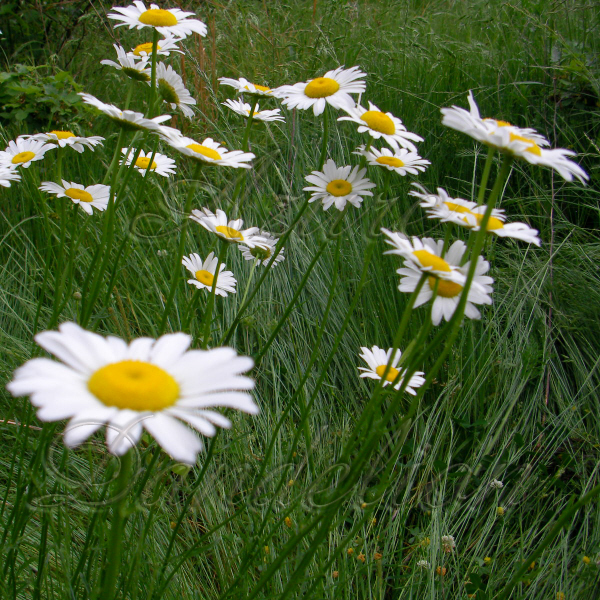 The daisies that grow in the Ozarks are blooming. They grow along roadsides and yards and at the edge of woods. They light up fields with bright shining white clusters of flowers. We cultivate these growing them in our flower beds, keeping back the seeds for others to enjoy. 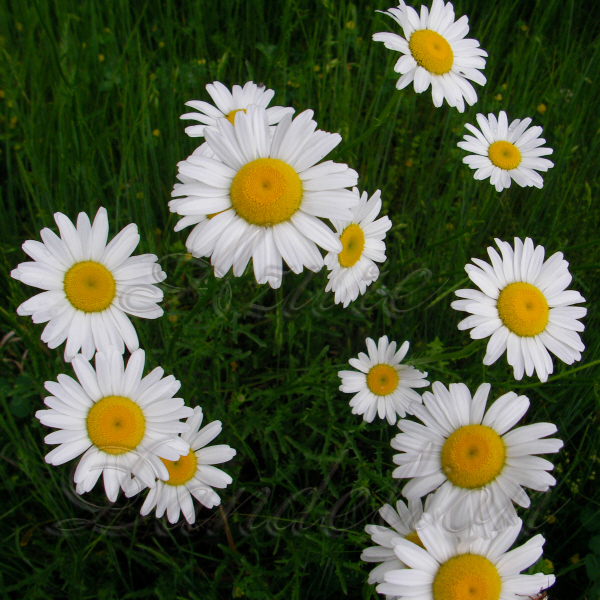 We also grow Alaska Shasta Daisies which have a flatter center and larger petals. 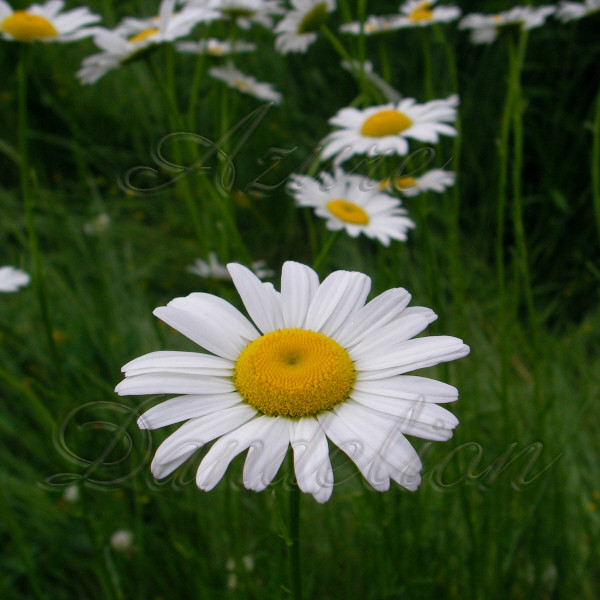 I love taking pictures outside of artwork with daisies as a backdrop. 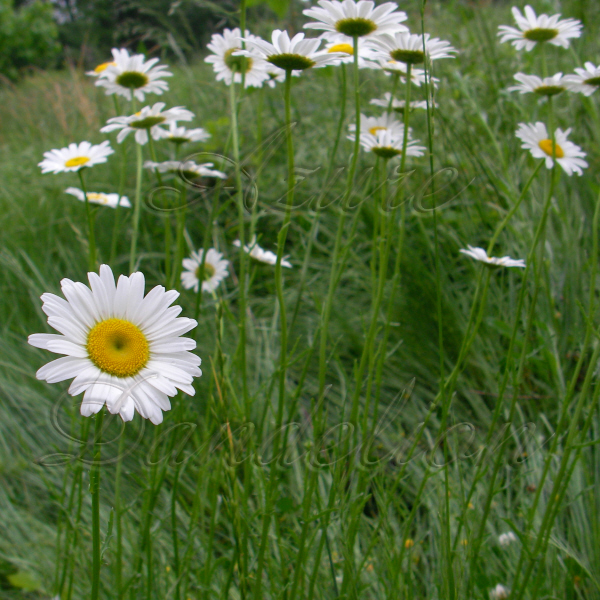 Grow your own Native Ozark Daisies with seeds from Azure Dandelion!